May 29, 2015 | Meagan Miller & filed under Training. Order now for an incredible introduction to volunteering in community radio. But did you know these earth-shattering facts about June Volunteer training? 1. Volunteer orientation is led by CJSR’s own Chad Brunet, owner of the world’s largest collection of community radio apparel. 2. 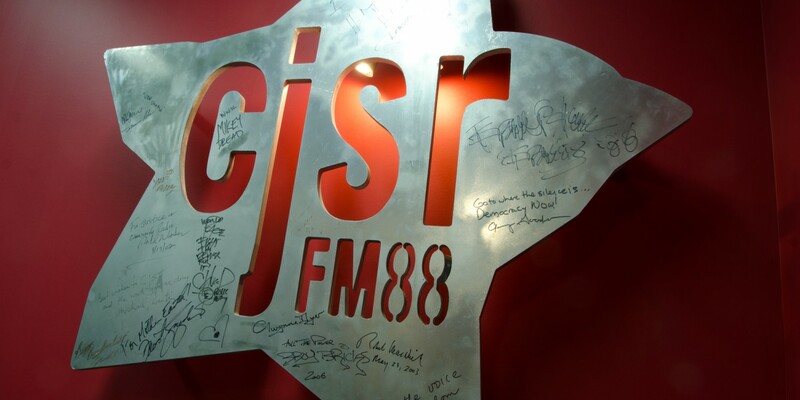 Former Governor-General Adrienne Clarkson has called CJSR’s scenic news room “a masterpiece of design and utility” and “a cultural treasure”. 3. No US presidential candidate has ever lost their race after taking a training session with CJSR. 4. Western Canada’s endangered pygmy papercat lives exlusively in the CJSR News Guide, provided free to every news volunteer. 5. If you listen closely, it’s said that the ghost of Canadian radio legend Peter Gzowski whispers secrets from beyond the grave at the end of each production training. So if you’ve been a longtime volunteer, consider dropping in if you want a refresher on recording technique, Logic Pro, story structure, or interviewing tips.